As I wrote in my recent blog posts and with my Photo of the Week, I was recently up at Algonquin Park to attend a TEDx event. The following morning I got up early and went out with my camera. And boy, was I lucky. 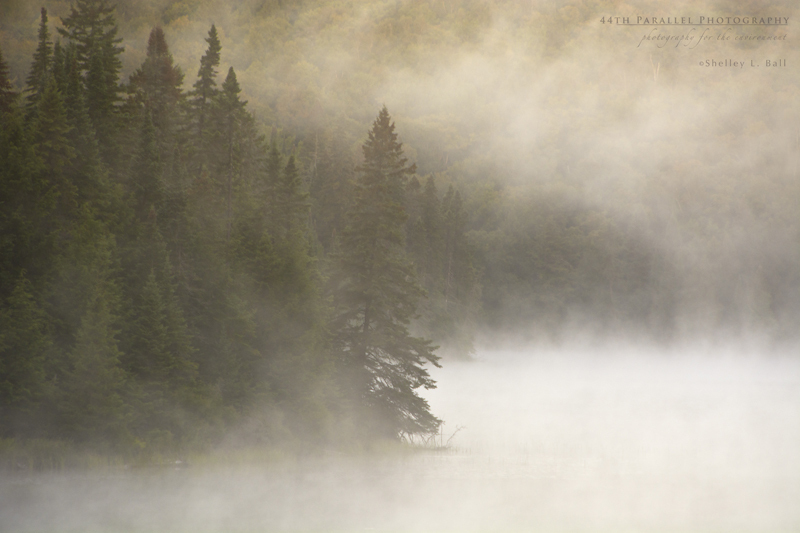 The morning air was chilled, but fresh and there was a light fog rolling across the lakes, ponds and marshes. It was a feast for a photographer’s eyes. 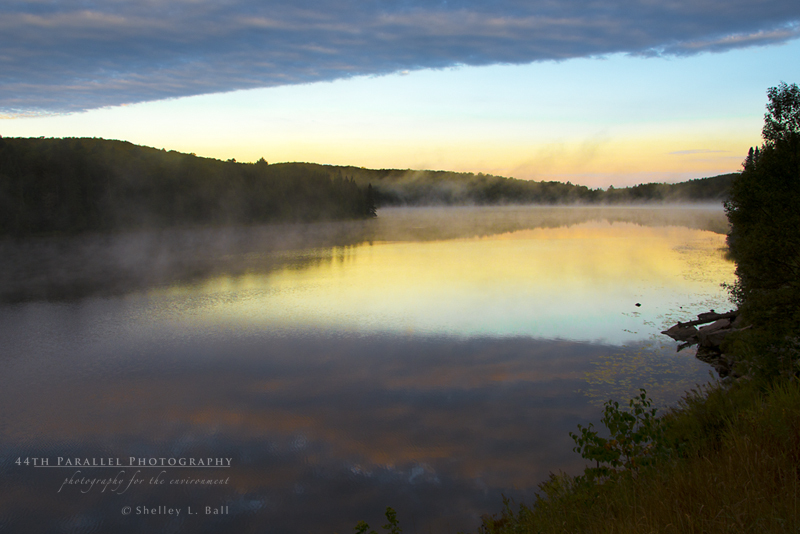 As the sun rose and warmed the air, the fog lifted, revealing a stunningly beautiful early fall day. Finally a chance to post some images from my bird photography outing a few weekends ago. We came across this really cooperative and response male Red-winged Blackbird. He had a female on a nest nearby and came to let us know. We were at the side of the road at a marsh and he clearly wanted to make sure we got the message. It was a windy day, but luckily he was down low, in the cattails, which made it far easier to focus on him. 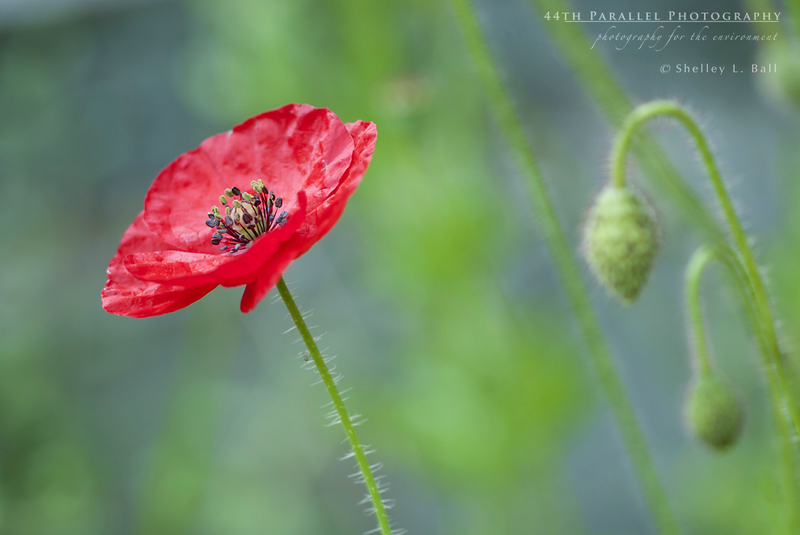 Click on the thumbnail below to see 44th Parallel Photography’s Photo of the Week. 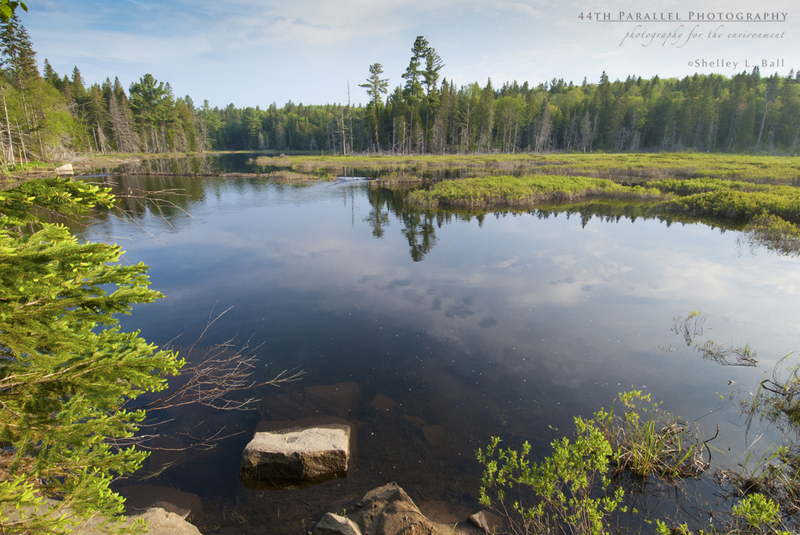 Last week I made the 3 hour drive from my home near Westport, Ontario up to Algonquin Park. 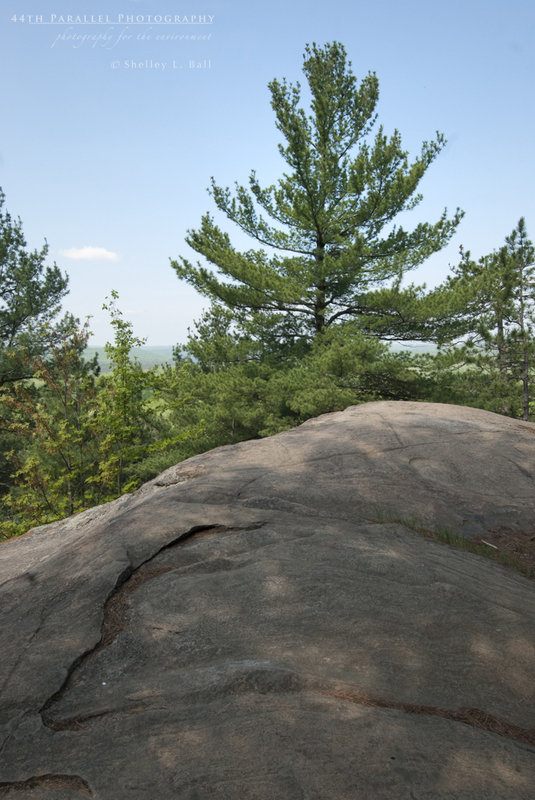 The park is part of the Ontario provincial park system and is often referred to as the ‘jewel of Ontario’. And a jewel it is. Despite being only a few hour drive from two of Ontario’s biggest cities, Toronto and Ottawa, the park is brimming with wildlife. Bear, Eastern Wolf, Fox, White-tailed Deer, Beaver, Pine Marten and a whole host of other animals are abundant in the park. As with most wildlife, a glimpse of some of these may be rare because many of these animals are secretive and avoid humans. But for the persistent who are willing to get out on the trails in the early morning, you may be treated to some great wildlife viewing. 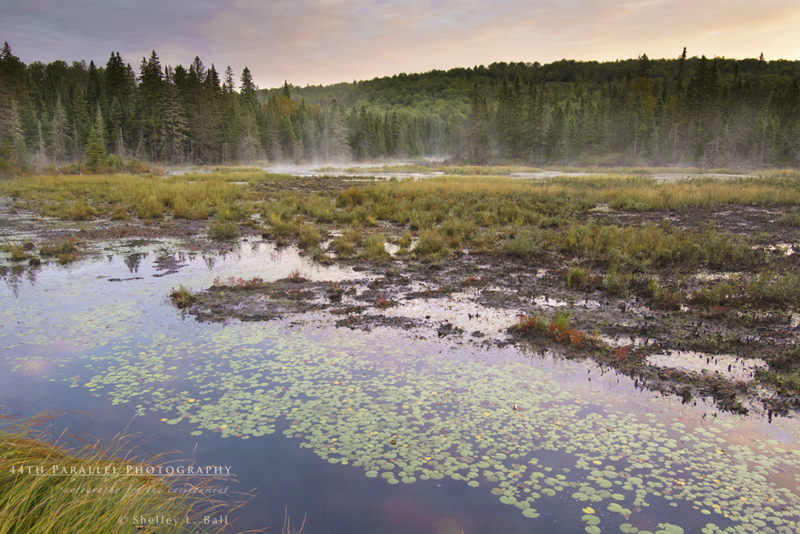 Algonquin Park has many ponds, lakes, marshes and bogs, making it an ideal place for moose. One of the things Algonquin is known for is its moose. 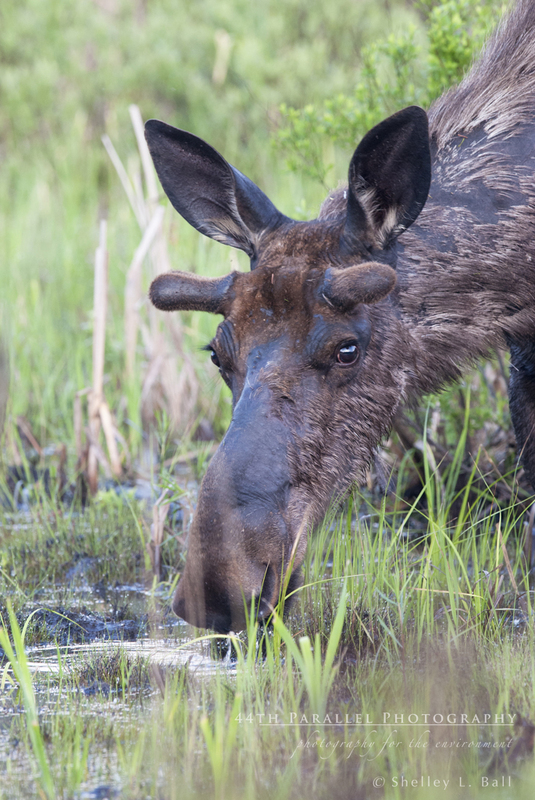 The many bogs and marshes within its boundaries provide ample habitat for a healthy moose population. Spring and fall are the best times to visit the park to see moose. 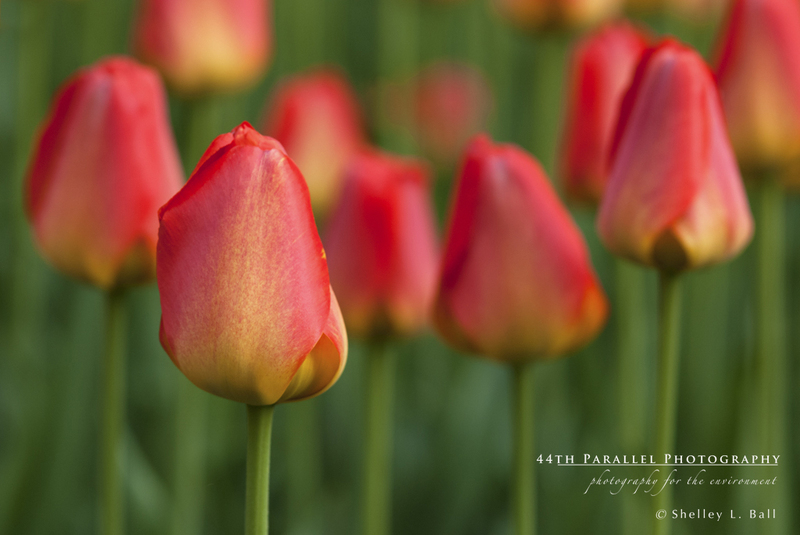 So I packed my camera gear in my little Toyota Yaris and headed for the park. This trip was to be a brief one – less than 48 hours for a round trip – but I had high hopes for making some great moose photos. 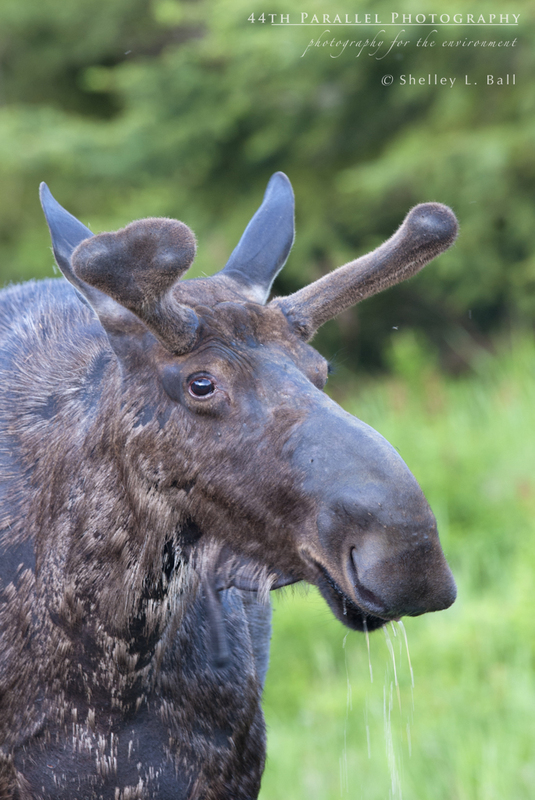 Moose love to graze on sodium-rich aquatic plants, which provide much-needed salt in their diet. I wasn’t disappointed. 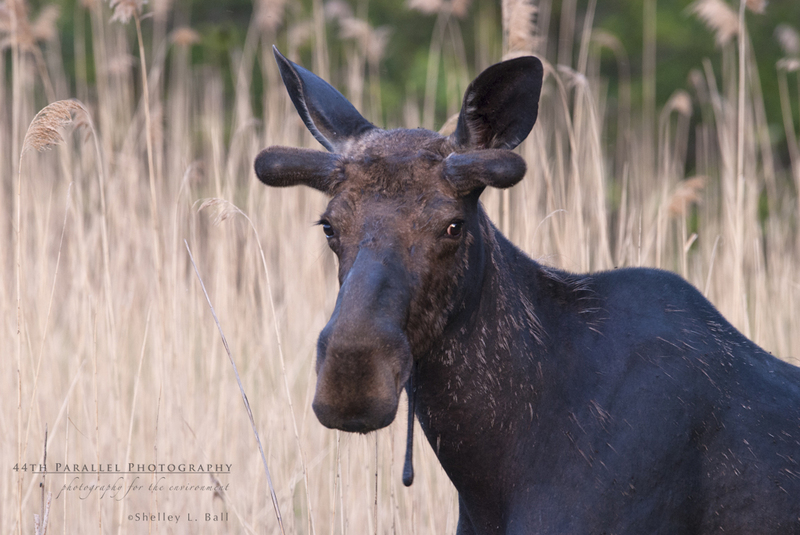 I went into the park for a few hours in the evening and saw one moose, a young bull happily grazing at the side of the road on some lush grass. He didn’t seem bothered by my presence and so I had time to get a few good shots until someone else pulled up in their truck and rather than hanging back quietly to rattle off some frames, decided to walk toward the moose to get a closer shot. That’s never a good idea with moose – some are pretty mellow, but some aren’t and so you need to keep your distance. You certainly wouldn’t be doing what this guy did, during the fall rut when males are charged full of hormones and out searching for females to mate with. With lots of marshes along Hwy 60, there’s lots of moose habitat right along the main road. It was starting to get a bit too dark for good photos, so I headed back to my motel room for a good nights sleep and an early return to the park the next morning. I arrived at the park to buy my day permit at 5:45 am. It was light by then, but not bright, so still a bit challenging in terms of light levels for my 600 mm lens. I shoot with a Nikon D200, which I love. But the D200 has old technology and so I don’t shoot about ISO 320 because of the graininess of images at higher ISO’s. As the sun gets low in the sky, lighting conditions become more challenging, especially when shooting with a long lens. But with many moose happy to pose for your images, you don’t have to worry about fast shutter speeds. The southern park corridor, where I was on this trip, consists of a paved highway (Hwy 60) that runs roughly 55 km east-west along the southern border of the park. It is the most developed part of the park, with visitors centres, museums and a number of car-camping campgrounds. But in May, before the kids are out of school and families on vacation, the park is wonderfully quiet. And so the best way to spot moose is to drive along Hwy 60, early in the morning. 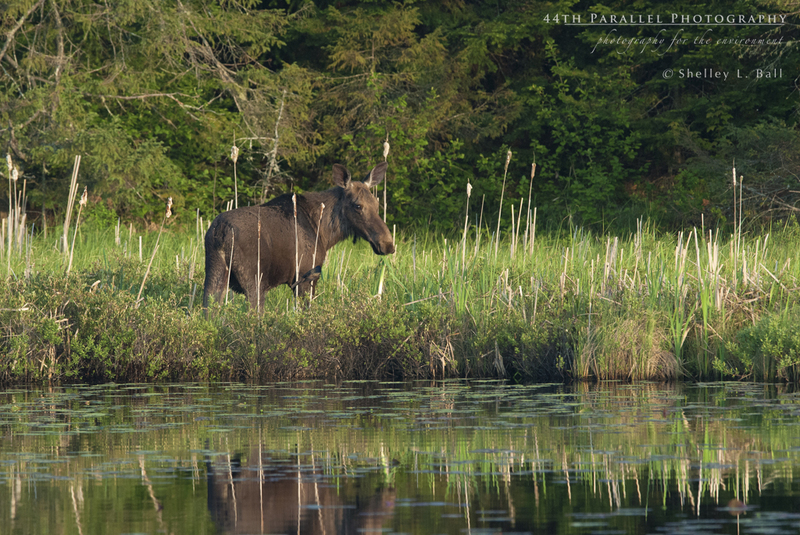 The moose come out of the forest to graze on maple saplings and lush grass at the side of the road or to munch on aquatic plants in one of the many marshes and bogs. You’ll often find moose just off the road, in the forest, browsing on maple saplings. Within a 5 minute drive of the east gate where I purchased my day permit, I spotted a moose grazing at the side of the road. I quietly pulled over, set my tripod and lens up on my side of the road and happily rattled off frames while the young bull grazed, not minding my presence. He was on the other side of the road, eating aquatic plants in a marshy area. I didn’t approach him for a closer look. That would be stupid. Plus, with my 600 mm lens, I didn’t need to get closer. In fact, the only images I could get of this moose were head shots. Yes, being that close with a long lens means you can’t even get a full body shot. Not that I’m complaining at all. 🙂 No way! I’d dreamed of getting these kinds of images for years. But you wouldn’t even need a 600 mm lens to get great shots. A 200 mm with a teleconverter or a 400 mm lens would be plenty to make great images at this distance. A 600 mm lens is great for wildlife portraits. You can see that this female has antlers that are just starting to grow back (they shed them each year in the fall) and she is looking scruffy, with her thick winter coat being shed and her sleek, dark summer coat coming in underneath. 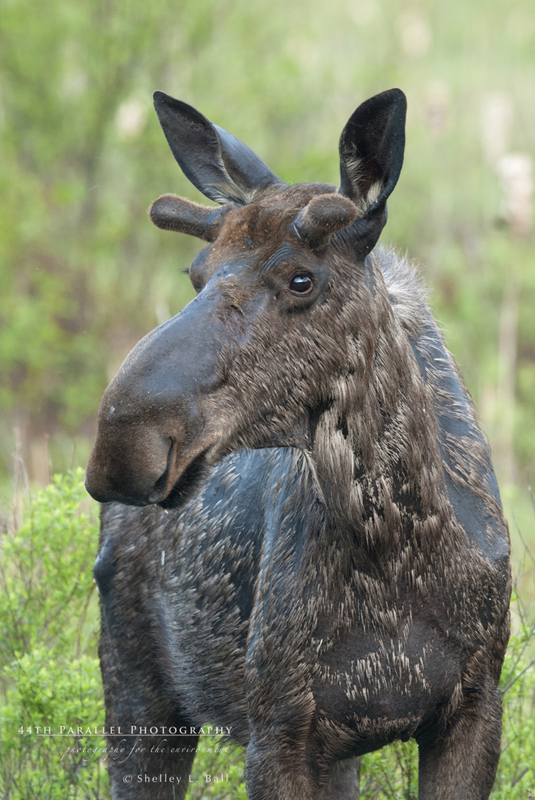 I shot several images of this moose and then piled my photo gear back in my car to head on down Hwy 60. One minute later, another moose. So I got out, quietly set up my tripod and rattled off more frames. Once I was happy with what I had gotten, I headed off down the road again. Not even one minute later, two more moose – this time a mother and what looked like last year’s calf, an older one, not a newborn. I didn’t get any photos of them. Mum was just too wary with her calf by her side and she slowly led her calf back into the forest. 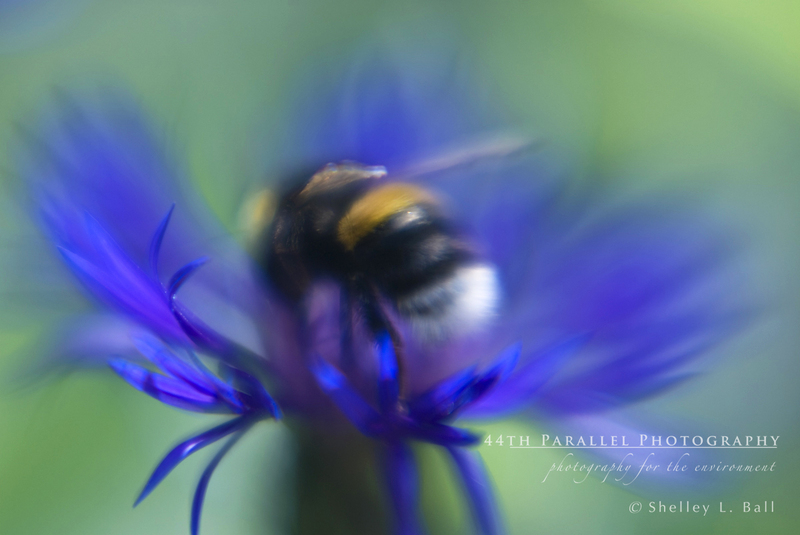 Getting great images is so satisfying, but no image, regardless of how amazing it is, is ever worth disturbing wildlife. 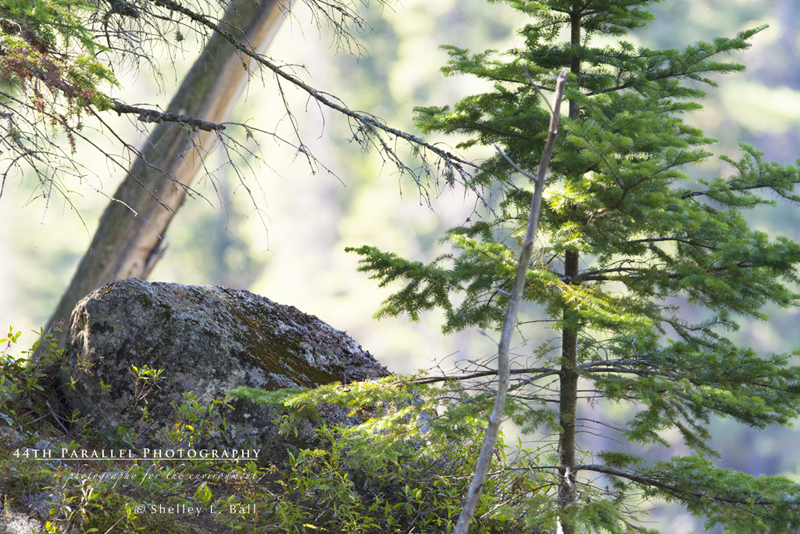 Wildlife photography needs to be ethical, meaning the well-being of the wildlife comes first. Period. No image is worth harassing wildlife. And so when Mum and calf wandered off into the forest, I didn’t pursue them. They clearly didn’t want to be bothered. So the best thing to do in these cases is to enjoy the fleeting moment you had with these beautiful animals and then continue on down the road in search of others. 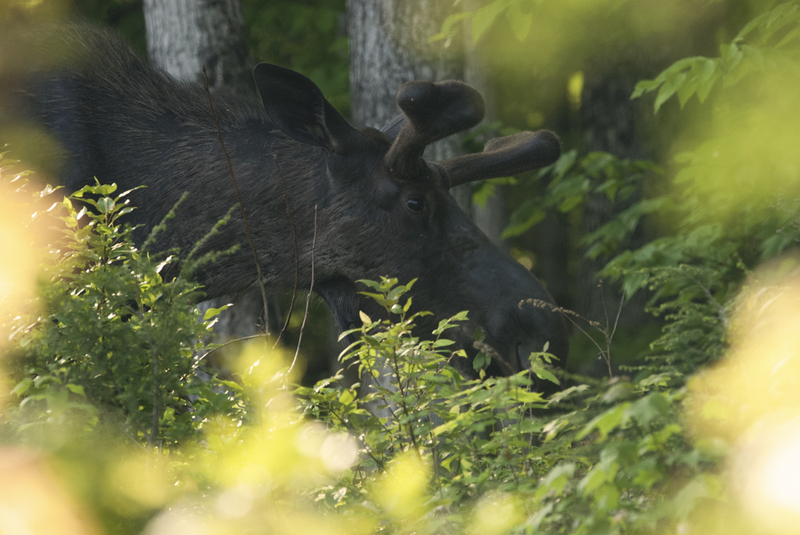 No shortage of moose portraits using my Nikon 600 mm telephoto lens. Another minute down the road, another moose. Wow! This was incredible! And my good luck continued. Inside of 10 minutes, I spotted 5 moose! In fact, in my very short time in the park, in less than 48 hours, I saw 11 moose. I photographed 5 of them. The rest were either fleeting glimpses or cases where the animal was partially hidden by the forest. But oh, these sightings were fantastic. Moose are remarkable animals. They are BIG. I was seeing mostly young males and females rather than full-grown adults. But these guys are still big. And they are gangly-looking, with their long, spindly legs, robust body, big ears and long face. And the males have a waddle, a fleshy bit of skin that hangs under the chin, which makes them look all the more bizarre. Moose are funny looking animals, almost cartoonish. But they are also magnificent symbols of the wilderness. By 10am, the sun was high in the sky, the temperature and humidity soaring and the moose scarce. This is the best time to head to one of the many hiking trails for a walk. I did two hikes – one to a lookout. It was a steep walk up that got the heart working hard, but the view at the top was well worth the effort. The other hike I did was the first few kilometres of the Mizzy Lake Trail. Typically it’s a 6 hour hike and I didn’t have 6 hours, so I just did the first few kms. And that was plenty, given that I was lugging around my 600 mm lens, my tripod, and a few other lenses. Although I didn’t see moose on the trail, I did see many tracks. This is a good trail to go to early in the morning when the moose are active. Next trip…. The outlook – a stunning view well worth the steep climb to get there. 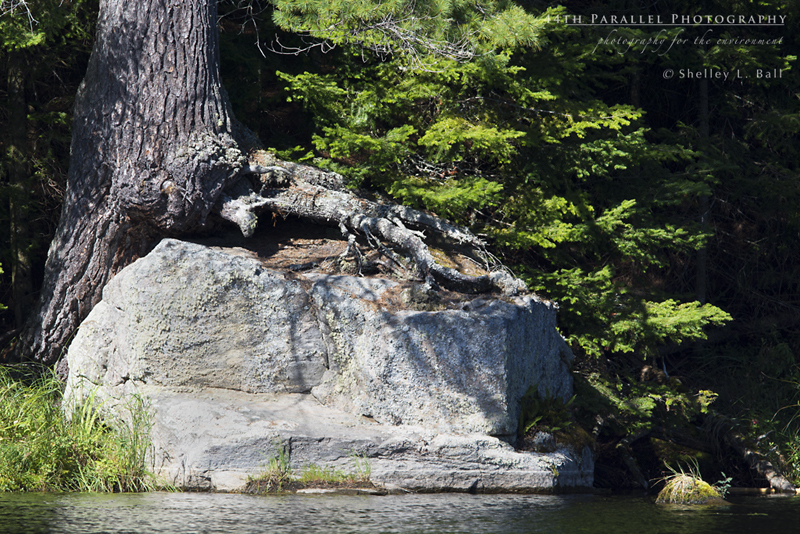 The beauty of rugged Canadian Shield country. Spring is a fantastic time to visit the park because of the abundance of wildlife and the lack of visitors (it gets really busy in the southern corridor of the park, June through August). 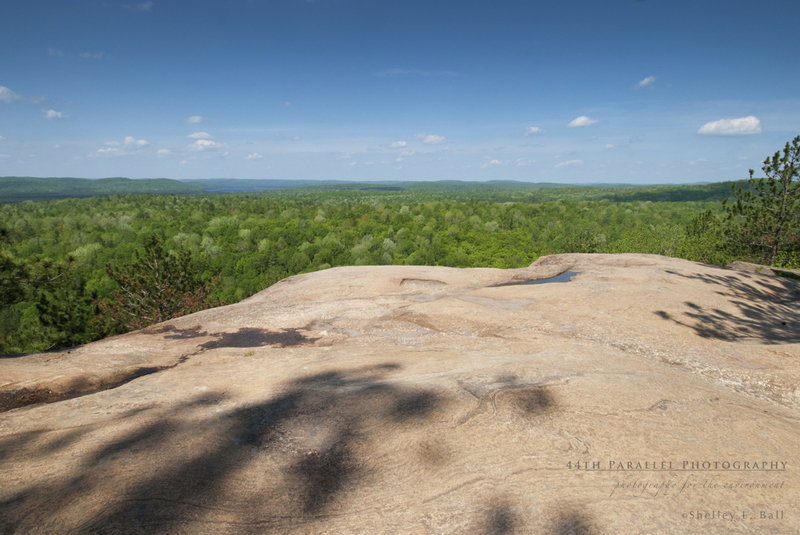 But having the park to myself came at a cost – BLACKFLIES! Yes, those pesky little biting flies with big appetites. Bug repellent is a must when visiting the park. Unfortunately, the night before I had run out of repellent while I was out walking the Spruce Bog Trail. And by the time I got back to the east gate of the park, the park office was closed and so were all the shops in nearby Whitney, where I was staying. So when I entered the park the next morning, I had no insect repellent. And the blackflies were BAD. I paid a high price for my moose photos. Three days later, my bites are still itchy. And I’d stopped counting when I discovered 30 bites on my neck and the back of my head (I didn’t bother counting how many bites I had on the rest of my body). Yes, they even work their way through your hair to bite your scalp. The blackflies were not fun. But I hadn’t come all this way to photograph moose only to be chased in by a gazillion biting flies. No. 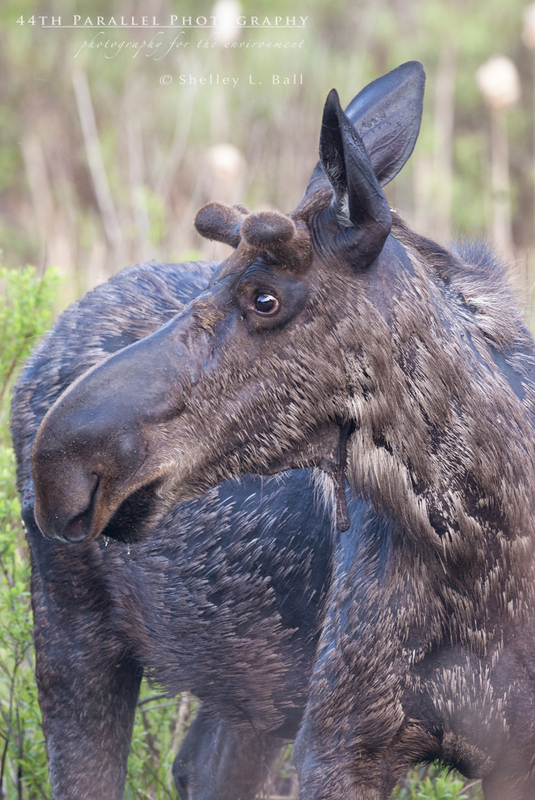 Instead, I donated blood to the local blackfly population, but left happy (and itchy) with my moose photos. Next time I’ll check my stash of bug repellent before I leave on my trip. I won’t be making this mistake again…. 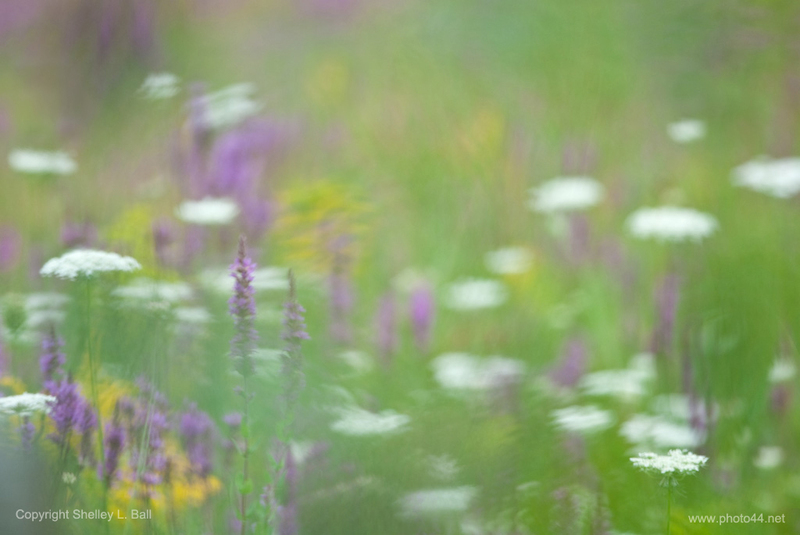 This week’s Photo of the Week puts an artistic spin on shooting forest wildflowers. 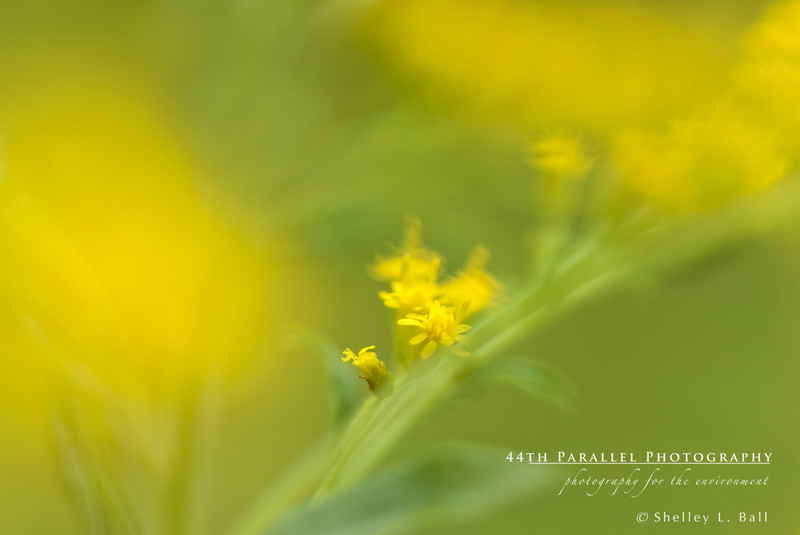 I just love wildflowers and can spend hours out with my camera, laying on my belly, fending off mosquitoes, while I find interesting and creative new ways to bring forest wildflowers to live in pixels. This weekend I photographed wild Lily of the Valley. It’s a tiny plant, only a few inches high. But it is just as beautiful if not more beautiful than its cultivated cousin. Click on the thumbnail below to see and read about the Photo of the Week. As we approach the Victoria Day long weekend here in Canada, two things come to mind. Two things I love. One is flowers. The other is my Mum. 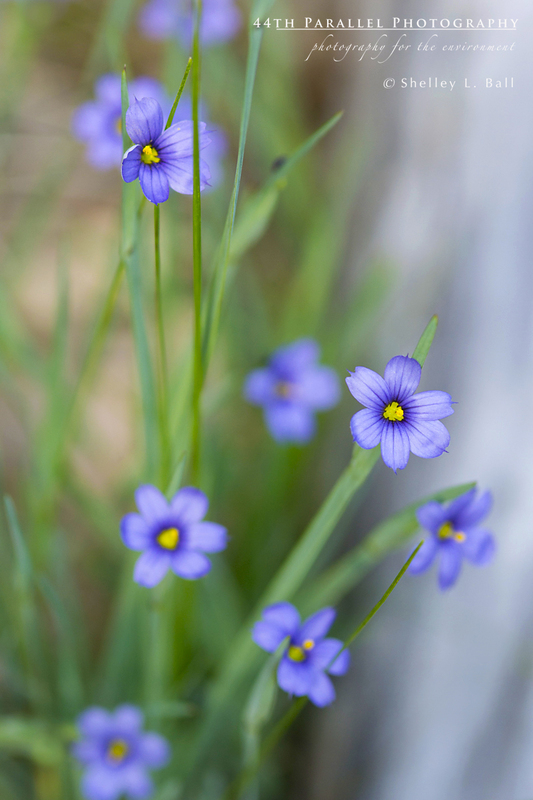 I love the month of May because, in this part of the world, it is a time of rebirth. The trees are nearly in full leaf after the speedy burst of their buds. 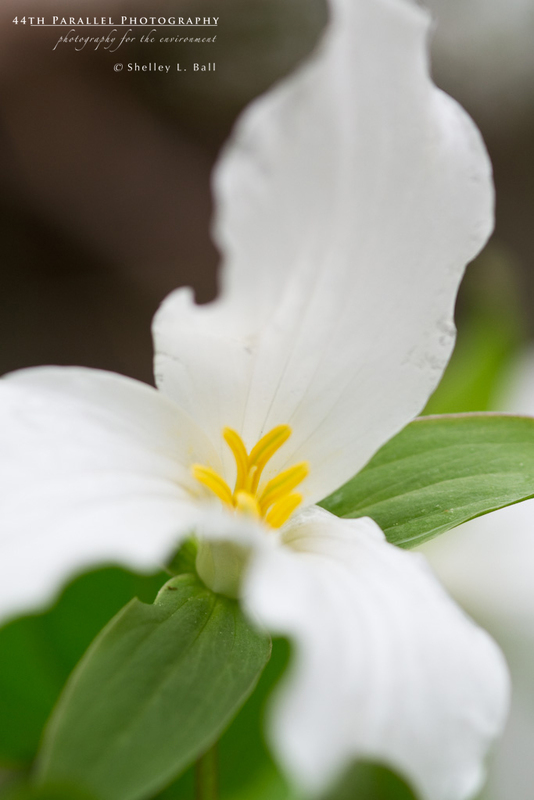 Our local wildflowers such as Trilliums, Purple Violet, Dutchman’s Breeches, and a whole host of others are sporting their showy blooms. Two of my favourite cultivated flowers – Lilacs and Lily of the Valley – are also on the cusp of showing their fragrant and delicate flowers. The vibrant greens, blue skies, and busyness of the squirrels, birds and other creatures are also part of this time of rebirth. So, May is my month – my favourite month of the year. For me, May also brings with it, some mixed feelings. Mother’s Day is in May. My parent’s wedding anniversary is in May. And, my Mum was born in May. When I see the beautiful blooms, so abundant during this wonderful month, I can’t help but feel a little bittersweet about them. They remind me of my Mum. She passed away two and a half years ago. Not only was she my best friend, but she was my soul mate. We used to describe ourselves as ‘two peas in a pod’ because that’s exactly what we were. 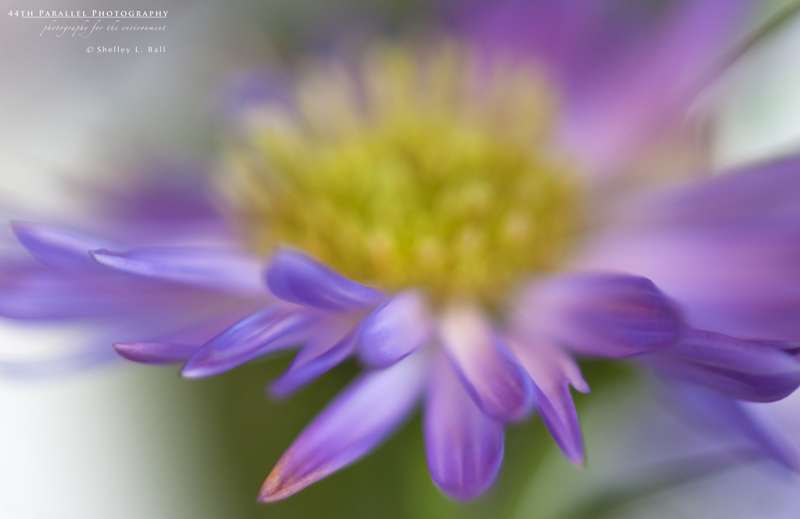 In recent years, as I became middle-aged, our relationship blossomed, like the flowers she loved so much. Although we were mother and daughter, we had become more like sisters. In fact, for the 15 months that my Mum was ill and in hospital, and I spent time with her nearly every day, we had several occasions where new nurses would comment on how wonderful it was that Mrs. Ball’s sister would come to visit her daily. The new nurses were quickly informed that it wasn’t her sister visiting, but her daughter. Mum and I laughed when we heard this. And I told Mum that maybe some daughters would be offended by this (given our age difference), but I told her to enjoy it (implying that she looked young for her age, which she did) and that for me, it was actually one of the biggest compliments I could receive. She and I looked a lot alike, had the same sense of humour (i.e. zany, wacky) and the same vibrancy and love of life. During that last 15 months of her life, we didn’t even have to speak to know what each other was feeling, we were so ‘in tune’ with each other. Many a day we shed tears together, coping with the lousy situation that life had dealt my Mum. But after a few tears and some hugs, our sense of humour would overtake all and inside of 15 minutes, we’d be laughing, joking and enjoying each others company. It didn’t matter how bad the day had been. After a few minutes together, we’d be smiling and having fun. I know that I am supremely and exceptionally lucky to have had such a wonderful mother. I always knew it, even from a young age. My Mum was my role model, my hero, my biggest cheerleader, and my best friend. And as we aged together, we became soul mates. The most difficult thing I have ever had to face in life is saying good-bye to her. Losing the other pea in the pod. My Mum and I, together, made the decision to end her treatment to hasten her passing as there was nothing more the doctors could do for her. It was the right thing to do, to bring her peace and end her suffering. It was what she wanted and I wholeheartedly supported it, despite it tearing out my heart. I held her hand for 52 hours, until she took her last breath – an act that was both the hardest thing I have ever done and the greatest gift I could ever receive. 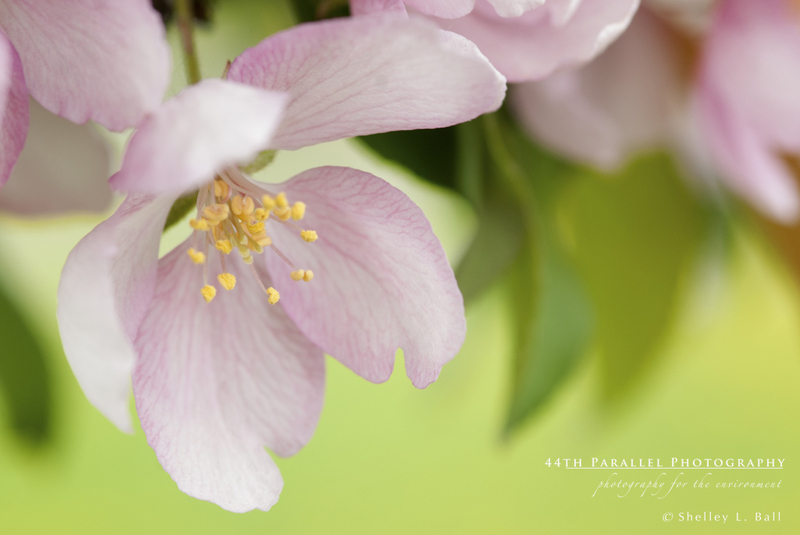 The blooms that surround me this time of year bring me happiness and sadness – bittersweet. I love the sight of them, they are cheerful. They also make me happy because they remind me so much of my Mum. 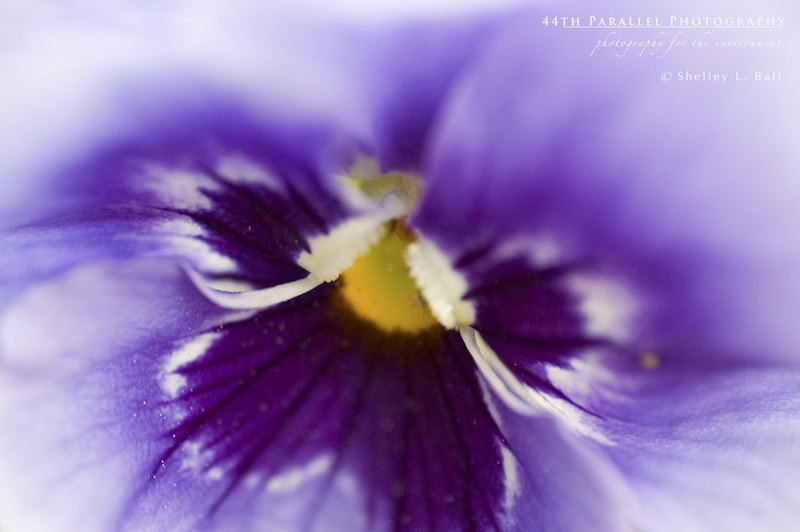 She was an avid gardener and absolutely loved flowers. They were her thing. 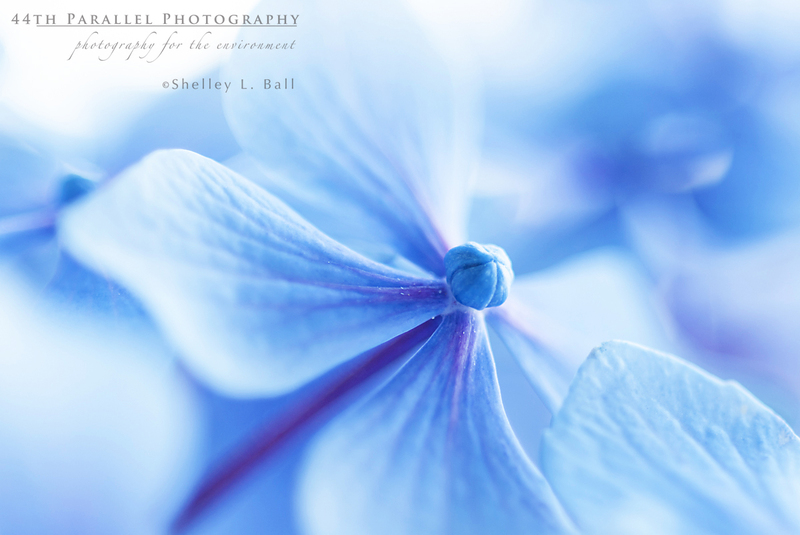 Two of her favourite flowers were Lilacs and Lily of the Valley. 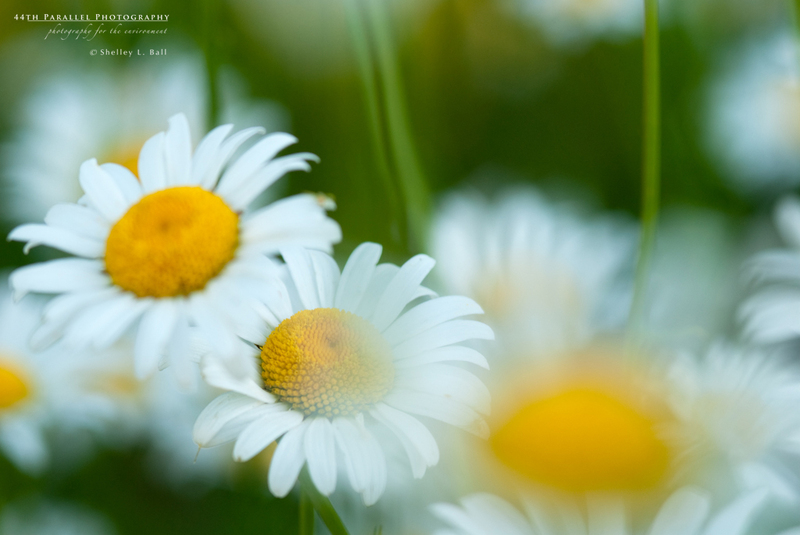 As a kid, when I went for walks up at our cottage, I would always stop and pick my Mum a handful of flowers – Daisies, Brown eyed Susans, Bladder Campion, Queen Anne’s Lace and Yarrow – which she put in a small, red vase that my brother made from clay during school art class. And so, being surrounded by these May blooms also brings me a little sadness – a reminder of her physical absence from my daily life. A reminder of a broken heart that will never truly heal. But these sad feelings are more than balanced by the incredible gratefulness I have for the time we had together and the abundance of wonderful memories I have of her. And so, as the blooms surround me, Mother’s Day comes and goes, and my Mum’s birthday comes and goes, I smile and think of her, but with tears not far behind, if even for only a moment. 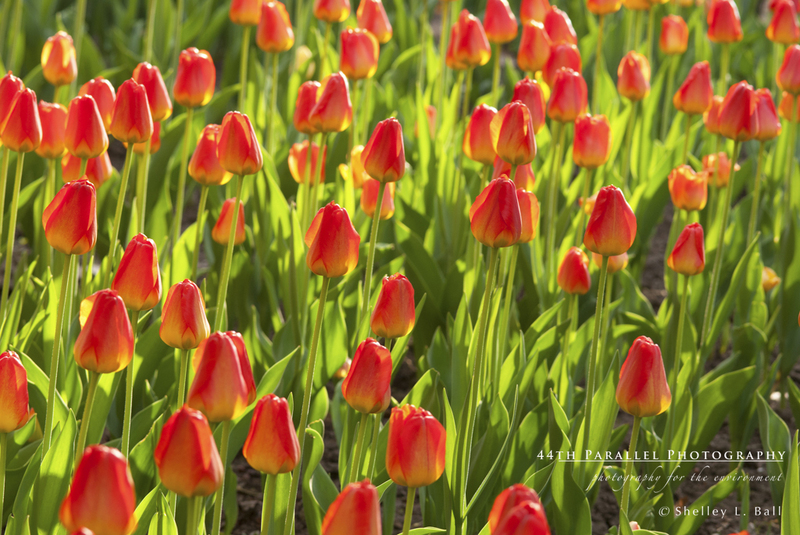 I celebrate the incredible times we had together and all of the wonderful, happy memories by growing flowers all around my yard. And every time I see a flower in bloom, I think of her and smile.